Are you looking for a new 4H horse club in Manitowoc County? Performance Posse is a Manitowoc County 4H club that meets every 3rd Friday of the month, at the UW Extension Office, in Manitowoc, WI. Our meetings start at 6:30pm and all age groups are welcome to attend! We are always looking for adult volunteers with horse knowledge! ​Come share your skills and talents with our family of volunteers! We are a non-profit 4H club that organizes and runs our own horse shows twice a year. We are an active club that hosts and operates an Obstacle Trail Challenge every spring, to help raise money for Camp Tapawingo & Whinney Wisdom Educational Committee. We are firm believers in the 4H message that honors the 4-H's...head, heart, hands & health. We are always working together to make a difference in the lives of our youth, our leaders and our community in which we live, work and play. You can find our group riding in organized trail rides all over the state of Wisconsin, throughout the year. We believe that fresh air and laughter is good medicine for both the horse and the rider! Our club helped to organize the Equine Education Division of the Manitowoc County Horse Project, known as WHINNEY WISDOM, in conjunction with the UW Wisconsin Extension office. 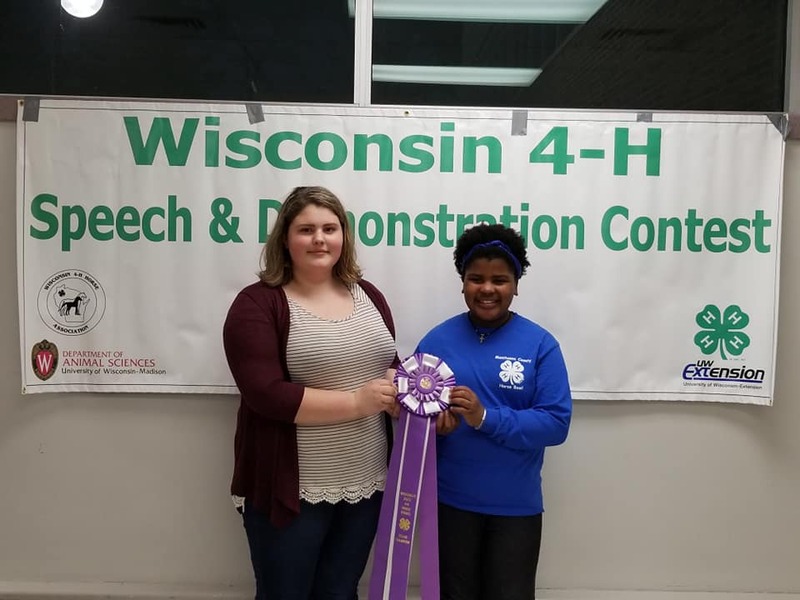 Our youth learn how to prepare and give speeches, as well as demonstrations, through the active involvement of participating in the WI State Horse Bowl & Hippology Contest. It is held every year the first weekend in May, at the UW Marathon in Wasusau, WI. Our club is dedicated to the continuous learning with our youth, to grow and serve their community in which they live, in order to grow great leaders! If this sounds like the right club for you and your child...join us at a meeting or club outing this month. ​We welcome your whole family to become members today! We believe that to be a good leader, you need to listen and learn from those around you. Our club's leaders are committed to the safety and education of our 4H youth. We are an organized group of leaders, who work together for the greater good of all our members and their families. ​We have a dedicated group of leaders, who attend yearly leaders meetings, while staying up to date in the leader certifications offered by the state of Wisconsin for the safety & education of our 4H youth. We have over 20 years of experience as youth leaders, with a certified Wisconsin State Horse Council Judge in attendance at our yearly sanctioned horse events, run by our youth and their families. Our volunteers care about growing good leaders in our community! Become a 4H Volunteer or a Member Today! The new 2018-2019 year starts October 1st. You can go to our 4H ONLINE ENROLLMENT page to get started enrolling yourself and your family today!